A collection of items from late comedian Joan Rivers' Manhattan home will be auctioned off in June. Christie's auction house will oversee the sale of paintings, furniture, costumes and jewelry, with a portion of the proceeds going to charities God's Love We Deliver and Guide Dogs For The Blind. The New York-based auction will take place in person and online, with remote bidding beginning June 16. The live auction will be held June 22. Among the items set for auction are an Edouard Vuillard painting estimated to be worth between $120,000 and $180,000; a jeweled nephrite study of a Lily of the Valley leaf by Faberge worth between $200,000 and $300,000; and a Tiffany water bowl originally meant for Rivers' dog, Spike, estimated between $500 to $800. Rivers' daughter, Melissa Rivers, said in a statement from Christie's that the auction celebrates the late "Joan & Melissa: Joan Knows Best" star and "Fashion Police" host's "elegance and collecting style." "My mother's legacy as a much loved comedienne and philanthropist will be commemorated in this collaboration with Christie's and her generosity to charitable causes is something I will continue in her honor," she continued. 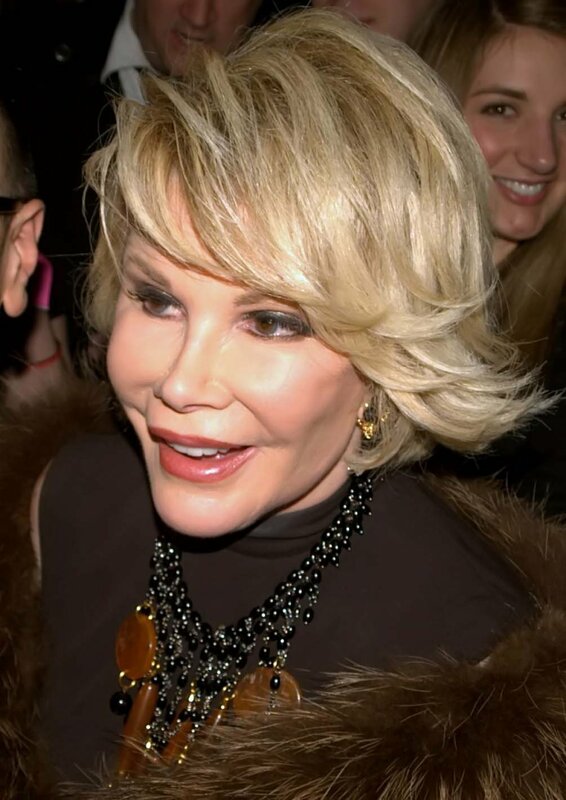 Joan Rivers died in 2014 at age 81 after complications from minor surgery performed at a clinic in Manhattan. Last summer, her Manhattan condominium sold for $30 million. Jessa Duggar on forgiving brother Josh Duggar: "It is a process"